50 Years of ABBEY ROAD -The Entire Album Live plus a set of Greatest Hits! 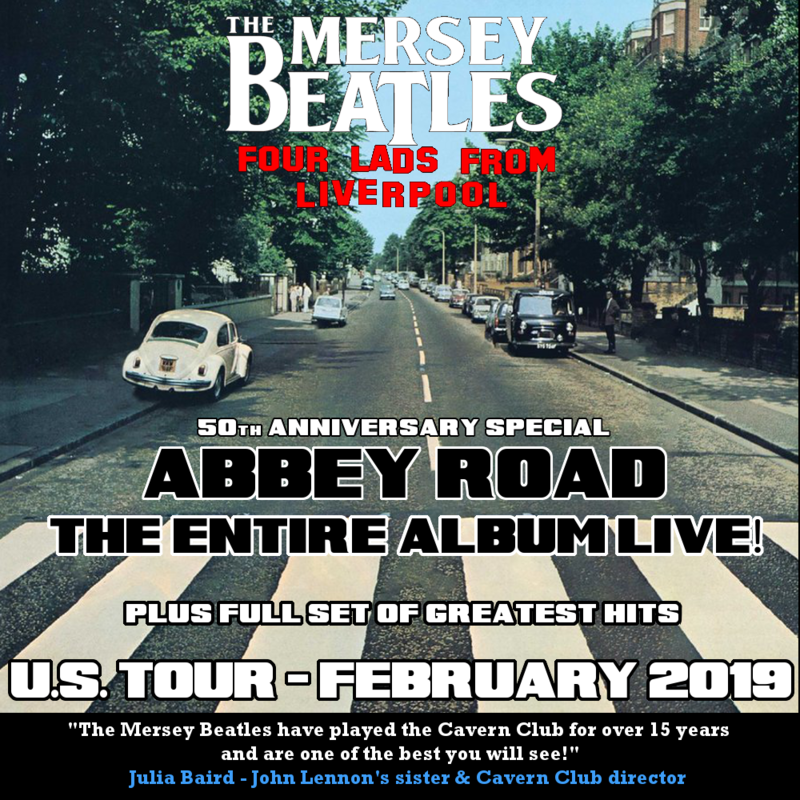 This LIVERPOOL based Beatles Tribute Band was the resident band for over a decade at the world famous CAVERN CLUB, where The Beatles got their start. These childhood friends have played in 20 countries, selling out shows worldwide. - Meet & Greet will start one hour before show time. The band will be available for pictures and autographs. All VIP ticketholders will receive a wristband that will identify them as a Meet & Greet guest.